Happy fall! This month I will continue to break down each principle of RAPPORT and why establishing a practice based on effective doctor-patient communication is crucial. I am turning my attention to the first “P” in RAPPORT – purpose. It is important to understand the purpose of both the doctor and the patient and how it factors into establishing an effective treatment plan that focuses on the goals and needs of the patient. I will break down why understanding the underlying motives of both parties matters. Follow along each month as I continue to break down each element of Rapport. For chiropractors who have questions about this strategy or any of the others I discuss in my blogs, please do not hesitate to reach out! Purpose – what is the patient’s purpose for being in our office? My recommendation for chiropractors would be to first ask, “Why am I here?” The answer should be your patient. Subconsciously they may feel the doctor is more about money than about their wellbeing, so it is your job to show them that they have your full attention and are ready to combat any health problem they are experiencing. Your patient also has a purpose – to get well! They are looking for a medical professional to trust and one that will give them the time they deserve to receive the best care possible. Doctors, it is important to leave yourself at home. This means that when you have a patient you need to be 100 percent present with them. From the moment they sign-in at the front desk until they leave from receiving treatment, your patient should feel that your staff gave their full attention in an effort to meet their health goals and needs. Make your intentions clear and be direct in explaining the treatment process. When your patients know their health concerns are in your best interest, they are likely to be more open with you in sharing information that can serve you in providing an effective treatment plan. Purpose is a key RAPPORT strategy because it establishes a level of trustworthiness that your patient seeks from you. Your patient will believe in your plan, increasing the likelihood that they will remain a life-long patient. 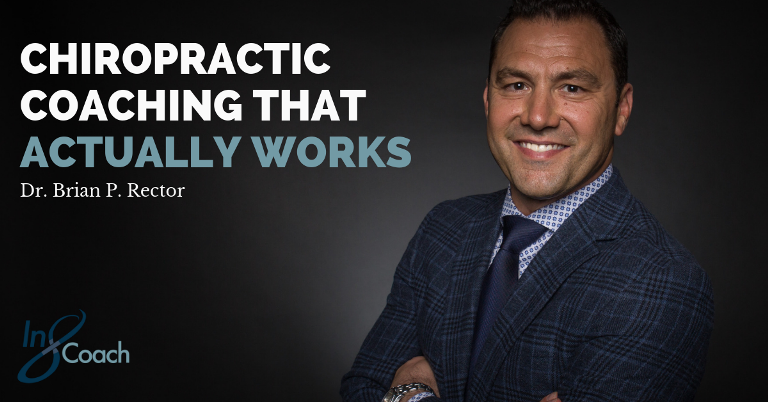 Are you currently implementing these strategies into your chiropractic practice? Do you think that you can benefit from improved communication with your patients? If you are reading this and want to begin to establish RAPPORT into your practice, call me at (831) 899-5900. Also, like In8Coach on Facebook and follow on LinkedIn for information related to all our services.